Joe Henry has a brilliant new album, Thrum, which was released at the end of October. Though it mines similar musical territory as the albums he’s released in the past decade, it offers its own twists and turns. To my ears, it combines the dark density of Blood From Stars with the intimacy of Invisible Hour. Notably, it marks JH’s return to a recording studio, following his string of Garfield House records that began with Civilians. What that all adds up to I’ll save for (hopefully) another blog post. To mark the album’s fresh release, JH will embark on a whirlwind tour of the U.S., kicking off with an artistic residency in Durham, NC (Nov 30 – Dec 2, detailed in this Indy Week article). Appropriately, Thrum will receive a full public airing at the Baldwin Auditorium on JH’s 57th birthday. A European solo tour will kick off on Feb. 1 in London. Now, in case you might be wondering, is the Joe Henry Blog back or just poking its head out? That’s a good question that would require a lot of backstory on my part. What I can say is that my reasons for somewhat abandoning the blog are still valid, but I find myself occasionally wishing I had place to simply pour some of my JH-related thoughts. Which is to say I feel no need to be a one-stop-shop for all JH news but maybe there are things I still need to say that adhere a bit closer to the original mission of this blog. Maybe what I’ve always been wondering is how does my life and the world around me make more sense when there is a Joe Henry song pulsating somewhere in my mind. Maybe it just felt strange to let the release of a Joe Henry album and the beginning of a tour pass by unremarked. That’s enough reason for now. If there was a silver lining to the sudden passing of Allen Toussaint late last year, it was the news that he had just completed a record with producer Joe Henry. Toussaint was deeply connected to Joe Henry for the last decade of his life, with the two collaborating on multiple projects including The River In Reverse with Elvis Costello and Toussaint’s own late-period masterpiece The Bright Mississippi. Now comes word that Nonesuch will release their final collaboration, American Tunes, on June 10. This long-gestating project includes Toussaint’s take on songs by many New Orleans and American song giants, such as Professor Longhair, Duke Ellington and Paul Simon. The record is anchored by the rhythm section of Jay Bellerose and David Piltch, with Greg Leisz, Charles Lloyd, Rhiannon Giddens, Bill Frisell and Van Dyke Parks. The album was recorded during two sessions: the first in New Orleans in 2013 and the second in Los Angeles in October, 2015. I guess it goes without saying that this will be a tremendous release for fans of Allen Toussaint, not to mention those of us who particularly revered his work with Joe Henry. I have to confess that I somewhat glossed over the release of Birds of Chicago’s Real Midnight back in February. Having received the Kickstarter digital copy back in November, it just kind of fell below my radar when it was officially released. In fact, I really only started spending quality time with the album over the past two weeks, and it is something quite special. As luck would have it, our old friend, Josh Hurst, has revamped his own website and has just reviewed Real Midnight. As he often does, he finds the perfect words to describe the spirit of this album. As you may recall, Real Midnight was the final album recorded at Joe Henry’s Garfield House studio. Jay Bellerose plays drums on the record, and Rhiannon Giddens provides vocals and fiddle on a couple of tracks. Also, be sure to check out Josh’s recent reviews of Lucinda Williams’ The Ghosts of Highway 20 and Tedeschi Trucks Band’s Let Me Get By, two of my other favorite releases of 2016. UPDATE: Over The Rhine recently announced that Birds of Chicago will be joining the lineup of their Nowhere Else Festival over Memorial Day weekend (see below post for more details). I suppose I’ve tried to make it somewhat of a personal tradition to attend a Joe Henry show when it happens to be at Largo in West Hollywood. The Coronet Theatre is, in my opinion, the finest listening room in the world, and JH has a long association with Largo, dating back to its original club location on N. Fairfax. These days, it is sometimes the only place where you can see him collaborate with the highly respected (and in-demand) musicians who have appeared on many of his records. Sam Phillips shares this association – and many others – with Joe Henry, and their pairing last Saturday at Largo was even more natural in reality than it would seem on paper. These two extraordinary artists share not only common tastes in musicians but simply appear to have been cut from the same cosmic cloth as songwriters and performers. The audience might have been fairly evenly divided between the artists’ respective (and devoted) fan bases, but their purpose felt entirely united throughout the evening. The evening featured two shows, both topping two hours. The first was a sold-out marathon, and the second was a more intimate reprise attended largely by diehards from the first performance. The sets were similar, though the first likely was stretched a bit longer by the first public performance of JH’s “Sign” from Invisible Hour, easily one of his best and most epic songs. And, of course, to the surprise of nobody in attendance, the musicians onstage were the true highlight: Jay Bellerose, Jennifer Condos, Levon Henry, Patrick Warren and Eric Gorfain. To those who recognize those names from their numerous collaborations with Joe and Sam, you already know that these players are truly miraculous. I will admit that each time I’ve spent all morning on a plane from Texas to LA (usually with a turnaround the next day), I’ve wondered if it would be my last such trip. Of course, humility should render the answer unknowable, in any case. But so long as I have any say in the matter, I’m sure you’ve guessed that my answer is: no, probably not the last. 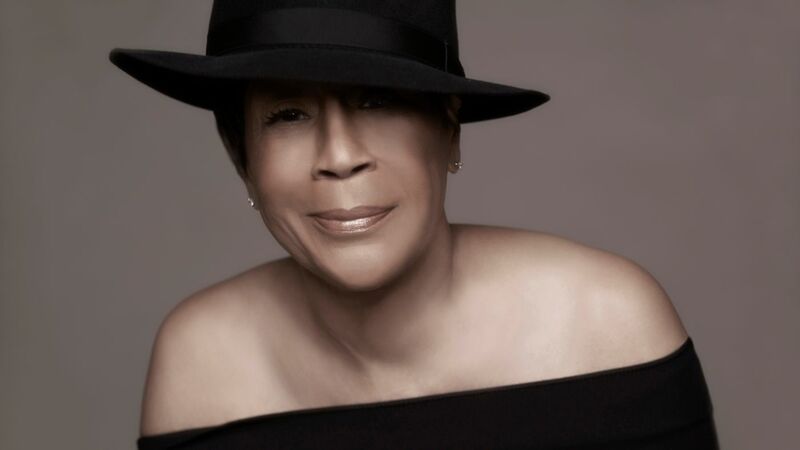 Bettye LaVette was slated to begin her two-week residency at Café Carlyle in NYC, but I believe tonight’s performance has been postponed or canceled due to the ongoing blizzard in the Northeast. Check with the venue for confirmation and word on the rest of the week’s performances. Jim Farber has a nice article on LaVette in the New York Daily News. There’s a great piece in this month’s Mix Magazine, with JH and Ryan Freeland discussing the recording of Worthy. You can hear the record in its entirety over at The Wall Street Journal. Mark Deming has a rave review of the record on All Music Guide. PopMatters’ Colin McGuire give Worthy and 8 out of 10. Blurt’s Michael Toland delivers an insightful, four-star review. Photos from Wednesday’s performance at Café Carlyle (Bettye was also interviewed by Paul Schaefer). A recent interview with The Guardian. UPDATED: Josh Hurst contributes his review to Medium. BTW, my autographed copy arrived yesterday, which can be purchased from LaVette’s website, in both the standard edition and deluxe edition (which includes a DVD performance from July 2014 in London).